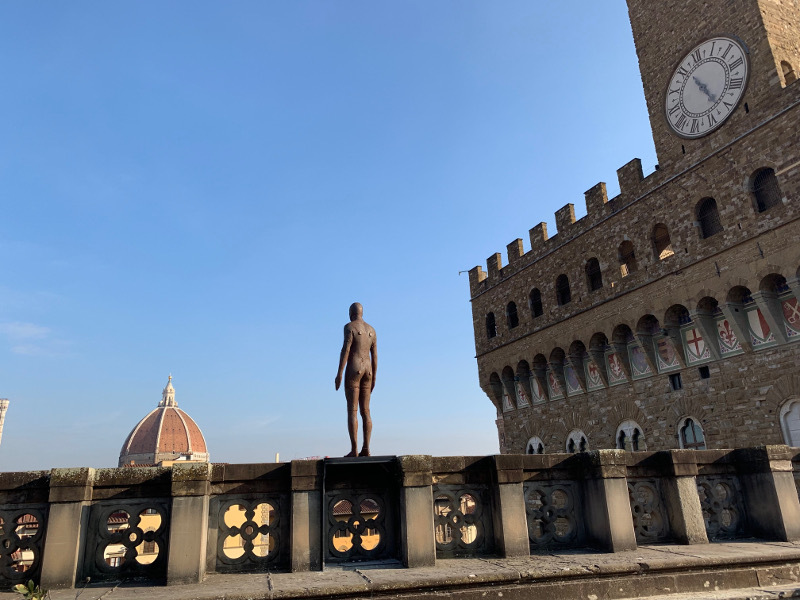 Antony Gormley comes to the Uffizi Galleries with one of the most interesting sculpture exhibitions of the past years. The artist was invited by the director of the Uffizi Eike Schmidt, who has been opening up the galleries of Florence's renaissance to contemporary art. Gormley was enthusiastic about the proposal and has collaborated with Schmidt for an exhibition titled “Essere” (being); he even created various site-specific works for the galleries. The exhibition features 15 sculptures, which Gormley created along the course of 35 years, dedicated to the theme, which he holds dear, of the relationship between man and space. His research is dedicated to the concept of the body in the space and the body “as” space. Much attention, moreover, was involved in how the sculptures are positioned in the Uffizi, how they relate to the ancient sculptures which are already inside the museum. Most of the works of the British artist are in the Magliabechiana room, the new and wide room at the ground floor of the Uffizi Galleries. Here is also “Passage”, a 12-meter long tunnel high enough for a person to pass through it. The rest of the sculptures create a harmonious dialogue with the works from the museum's collection, in the rooms on the upper floors. The one who stands out the most is the big statue of a man on the terrace of the Uffizi, clearly visible from Piazza della Signoria below. The exhibition “Antony Gormley. Essere” will stay open until May 26th, 2019.